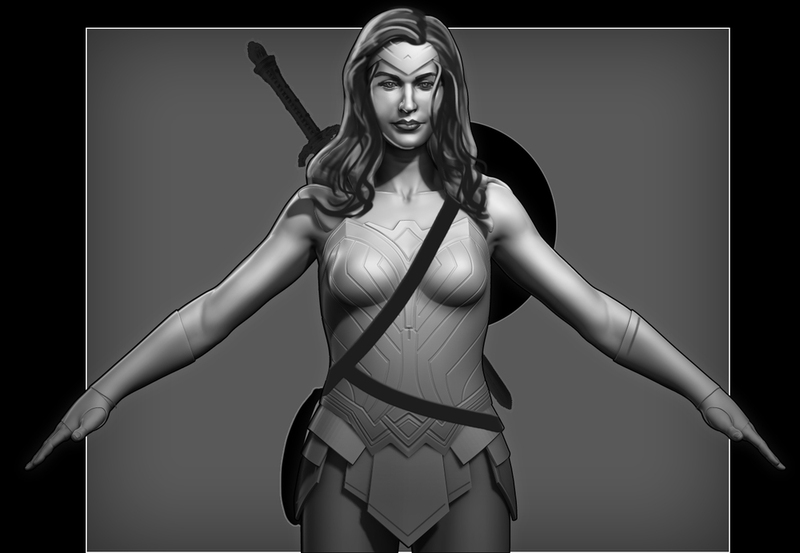 Sculpted in Zbrush from scratch. I intend to use this as the starting point for a more detailed charater model, learning several new software packages along the way, i.e marvelous designer for the clothing and other 3rd party software to generate real time hair solutions etc. Just a quick play with dressing the character. Ok this guy took roughly 2 weeks to make. Based on various gathered refrences. This video shows how I typicaly start a model, with a mix of dynamesh and zremesh, I try to block out the shapes as quicly as possible, then start to break into multiple sub tools once im happy with porortions etc. Created using Zbrush for high res sculpting and generation of low poly mesh. Textures where then created in photoshop using a combination of maps baked in xnormal and masks generated in zbrush.